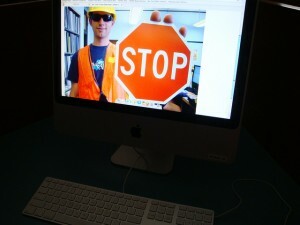 Okay, no app is really going to "stop" cyberbullying, but a few are trying. Perhaps the most lauded recently is the "Find Help" application on Facebook. Often blamed as an easy venue for cyberbullies to target victims, Facebook has partnered with the monitoring site SafetyWeb to create an app that allows users not only to immediately report inappropriate behavior to Facebook officials, but also to connect to various support organizations. These include suicide hotlines and child abuse prevention centers, such as Partners Against Hate, which offers anti-hate crime education and strategies. Professor Garfield Cyberbullying: Available for iPad at the iTunes app store, this is essentially a Garfield comic strip that helps kids identify bullying behavior and provide strategies for dealing with bullies (such as how important it is to seek the support of a trusted adult). Web Safety, Inc.'s "Cell Safety": An application for smart phones designed to help parents monitor their child's cell phone activity. Parents receive alerts when their children are sent certain problematic keywords (which, Web Safety says, is the world's largest database of its kind, with 4,000 terms that "indicate a child is in harm's way.") Cell Safety also features a slew of other child-monitoring tools, from GPS tracking to one that prevents texting while driving. GoGoStat Parental Guidance: The GoGoStat iPhone app was developed by Schakra, one of the sponsors of the International Bullying Prevention Association Conference, and alerts parents when kids post or receive inappropriate messages, displays the age and location of anyone their child intends to friend on Facebook, and has a panic button feature that automatically sends a report to the police in case of emergency. Destructive Issues: This iPhone or iPod app for parents lists, describes, and provides solutions for the issues teens face. Developed by father-and-son team William and Eric Nidiffer, along with the Southern Nevada Community Gang Task Force, the app targets problems like cyberbullying, gangs, depression, and substance abuse, and creates pro-and-con scenarios that help explain the reasons teenagers make the choices they do. Another, soon-to-be-released app the Nidiffers and the task force are designing, called S.P.I.R.I.T. (short for Suppression, Prevention, Intervention, Referral Intelligence Tool), will create a series of gang-prevention, solution-oriented apps for teens themselves. All this monitoring may seem a bit too "Big Brother." But to some parents, it's essential. With so much attention to cyberbullying-related youth suicides, the tech industry is responding.